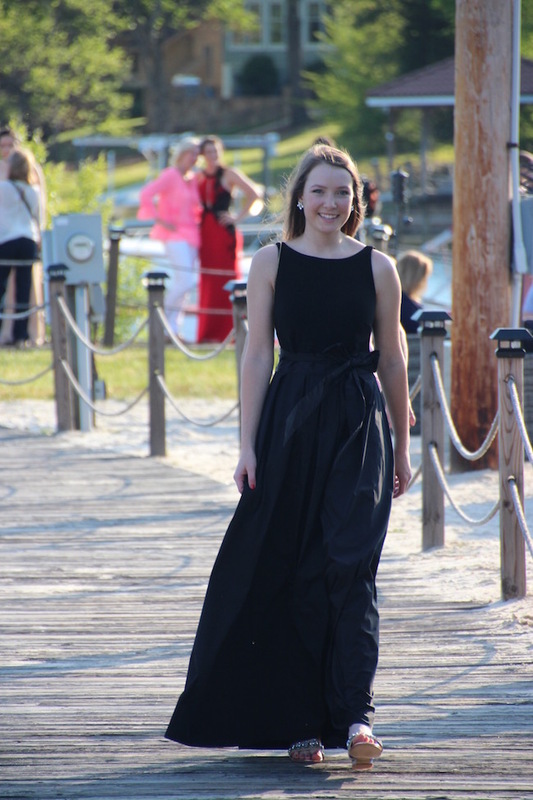 This past Saturday I attended my Senior prom and despite being a bit hectic at first, it was too fun! I was at accepted students weekend at the college I'm going to next year (more on that coming later this week) on Friday and Saturday so I got home with a little less than an hour and a half to shower and do my hair and makeup. Then, there was a scheduling problem and the venue had to be moved five hours before prom started! 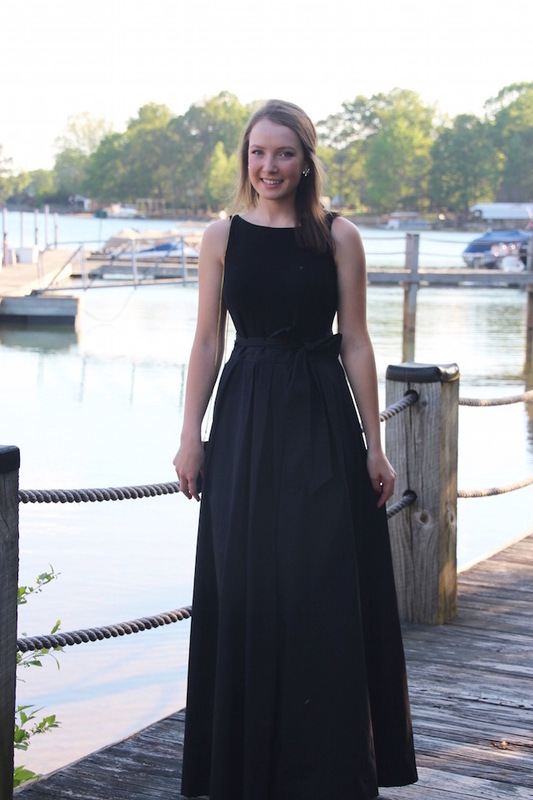 Despite those stressful pre-prom moments, it was so fun getting dressed up, going to dinner and dancing all night with my friends! Like last year, I opted for a dress with pockets to keep my phone in during the dance and wore flat sandals so my feet wouldn't be sore or blistered. Since my dress was pretty plain, I added some embellished sandals and statement earrings. They were the perfect amount of sparkle to add to my outfit and both pieces are ones I know I will continue to wear even to less formal events. 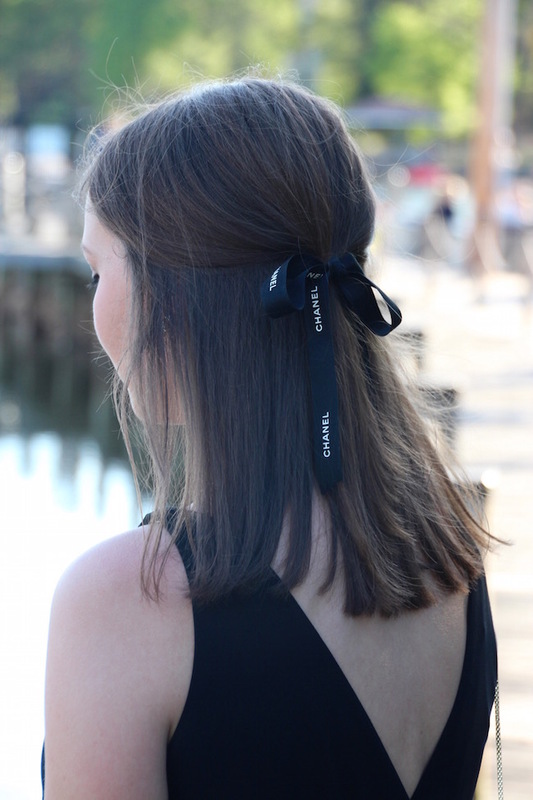 Because I was on a bit of a time crunch, I did a simple half up half down hairstyle and took some inspiration from Julia of Gal Meets Glam and added a ribbon for a feminine touch. 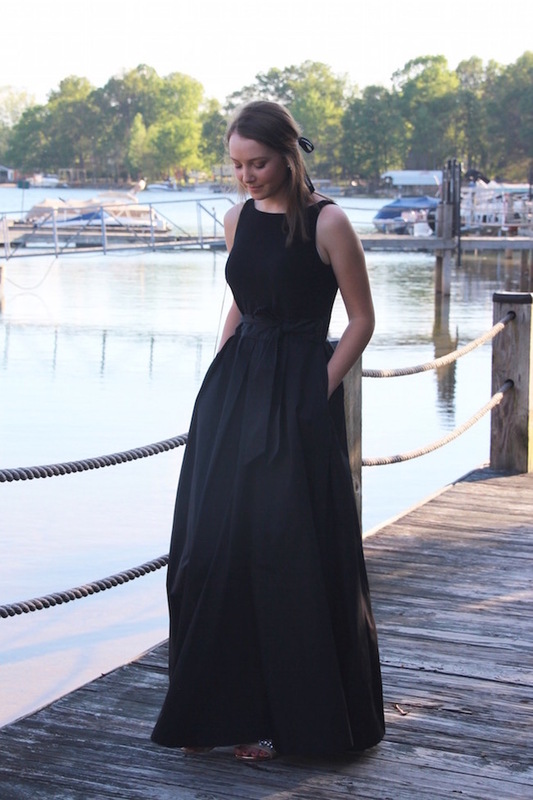 Check out my prom look from last year! You look so beautiful! I love your dress, it's a classic and you'll definitely be happy you wore it years from now! 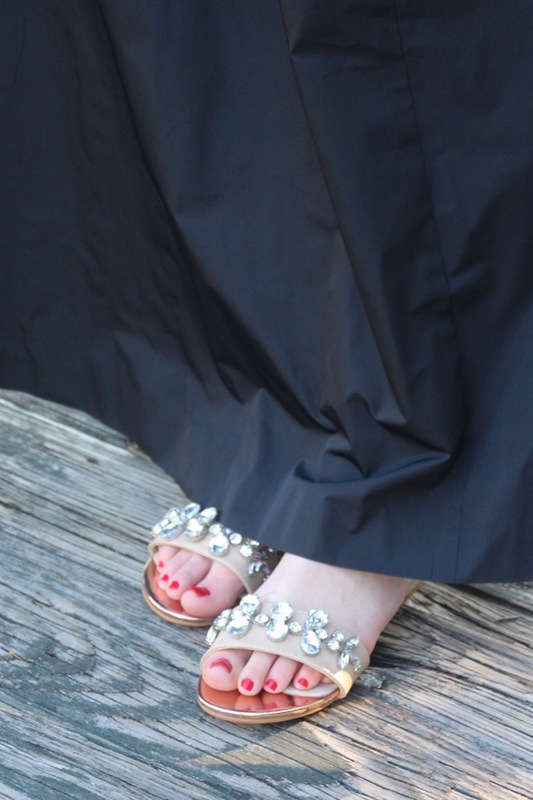 I also wore sandals to prom, and it was the best decision ever! I love your dress, Renee! 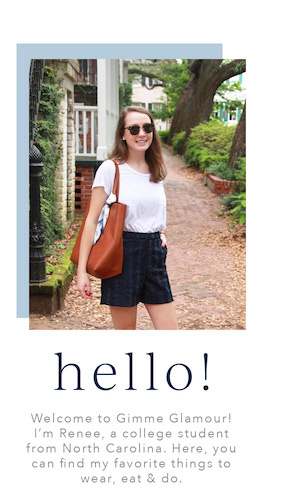 You look gorgeous and I can't wait to read about your college decision! You look gorgeous! I love the touch that the bow adds, plus your shoes are sooo pretty!